Has anyone been successful connecting the steering wheel controls on a 2017+ Toyota 86? I have an 860 Special Edition and Crutchfield recommends this expensive interface. I'm wondering if it's necessary. I used the Metra ASWC-1 on my 2017 BRZ. Purchased a wiring harness from Autoharnesshouse.com, wired in the Metra unit, performed the setup and remapped a few buttons. I got my unit installed (JY-TL123N2). Best Buy did it for me because I just wanted it done, but it was nice, they only charged me $99 for it, which is not bad. Backup camera works, GPS works (mounted in dash behind unit), microphone is great (mounted above rearview mirror), steering wheel controls work, everything works. Looks really nice in my 86 Special Edition! Is that CD player functional? I have that same model and no it's not. Idk if they even offer this one with a working CD player, I didn't see one when I purchased mine. The CD slot is actually walled off with a clear plastic, you can see it reflecting light in those pictures just inside the slot. The plastic bothered me because it had a scratch on it. I removed it. Now its just a dark slot. Sometimes the light hits it and I can see inside, but that doesn't bother me as much. I used the SUB28SWC-6V for my head unit install and there's no signal from the reverse camera. The SUB28SWC works, it sends a reverse signal to the head unit and the 6V converter also works, but there's no video signal when the head unit triggers the reverse camera input. I pay more per month for insurance than I pay for the FRS. 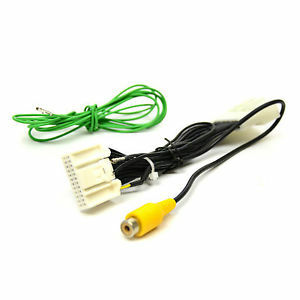 The 6V converter has 2 different color wires coming out of it. One should be the 6v side and the other should be 12V. Maybe switch the wires the other way. Also make sure the yellow RCA cables are connected tightly and not loose. I wrapped the connected ends with electrical tape to make sure they don't disconnect during driving. The Toyota 20 pin connector with 3-4 wires sounds like it's for steering wheel control. The joying harness also had a 20pin connector, but in my guide I discarded it, so that might be it. I followed this and got my reverse camera working on my Pioneer MVH-2400NEX. Hey guys im having trouble finding /connecting my the wires for the SWC on the brz tS..
@Akuma147 Sorry for the hundreds of posts but I feel we are so close. This is the product I heard about and I will ask them tomorrow. Do you know much about this? Ground Loop Isolators. The guy in the video had bought two of the first (Metra) one and put them in series to reduce noise in his mic and speakers. Read this whole thread... its very informative thanks to Akuma! I thought you got it to work, but the quality wasn't very good, with too much static. I gave up on using a mic connected to the head unit, OEM or aftermarket. I must have bought 4 different mics and nothing worked well. I came to the conclusion that it was the joying unit that was causing the static and bad quality; something about the internal and external mic conflicting with each other. Some people have confirmed this on the xda forums. I ended up just getting a Jabra Freeway Bluetooth Speakerphone, which works pretty well for. I'm thinking about upgrading the head unit to a different brand that doesn't have the joying mic issue, and 4gb of ram.